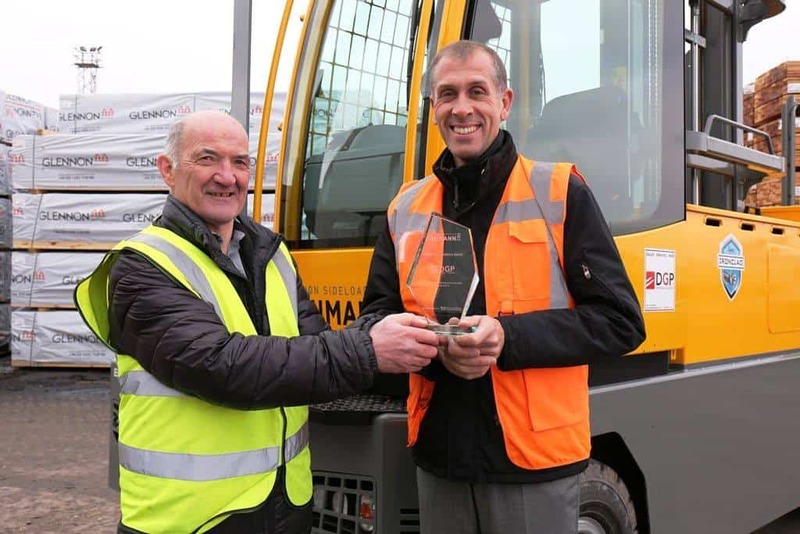 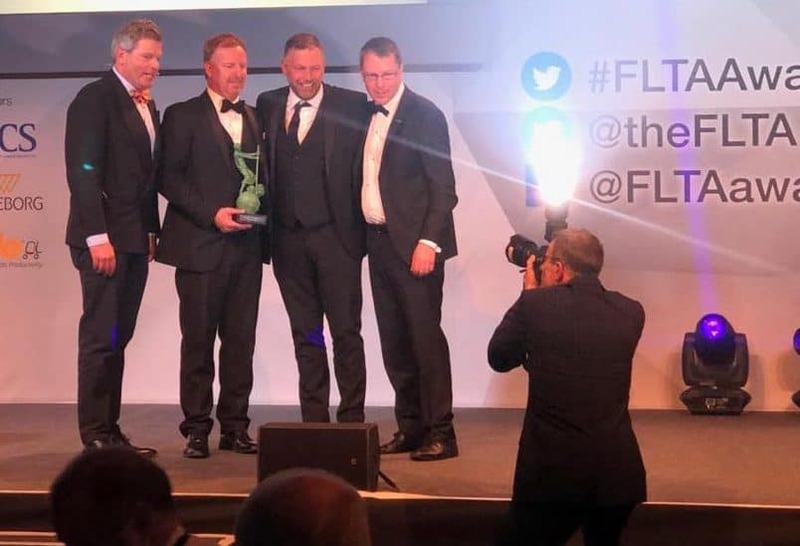 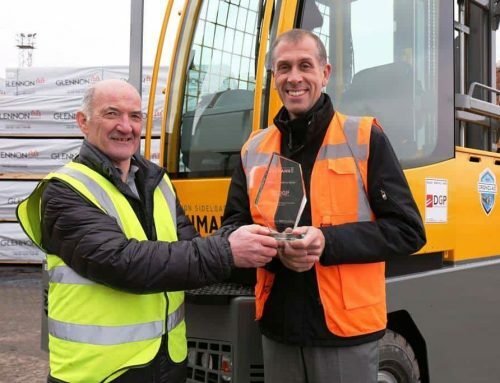 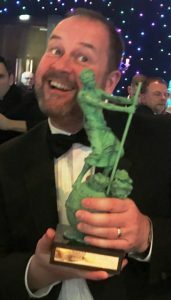 Home/Latest News/2019 FLTA Environment Award Win! 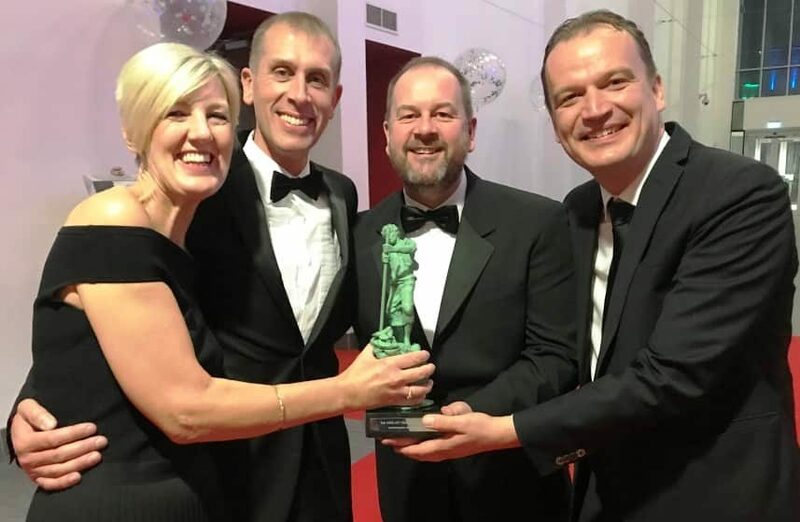 A delighted MD, Klaus Pirpamer, stepped up on stage with the Baumann team to receive the Archie award, from English television presenter Mark Durden-Smith and sponsors, TVH. 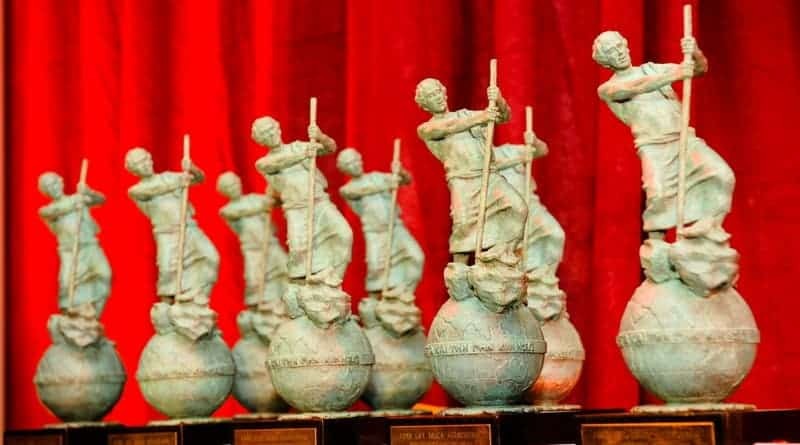 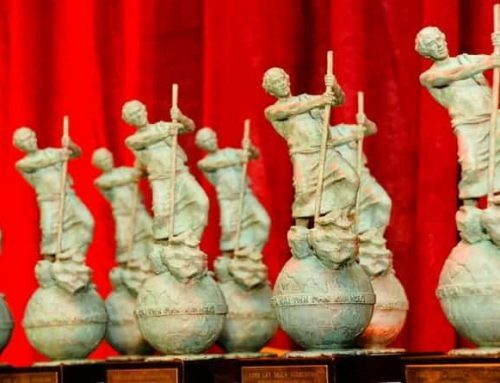 With nominations in three categories, hopes were high this year, but with the Environment category being one of the most keenly contested, the win still came as a pleasant surprise. 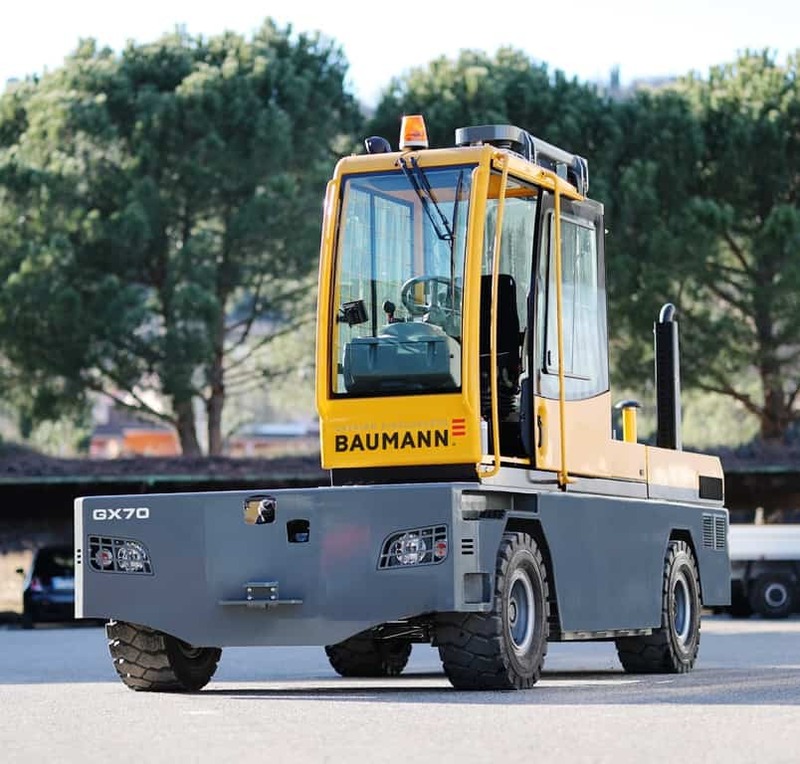 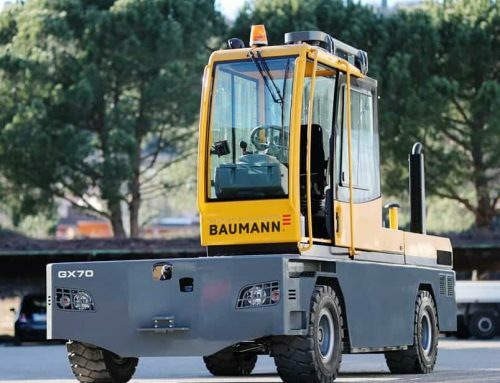 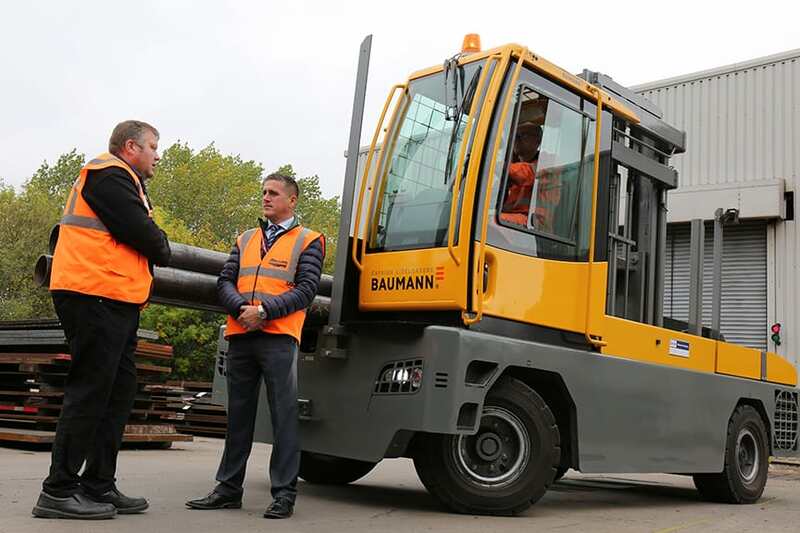 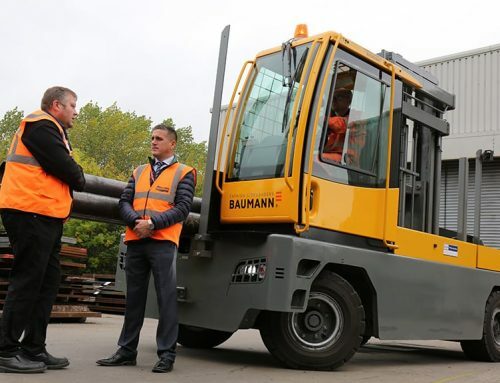 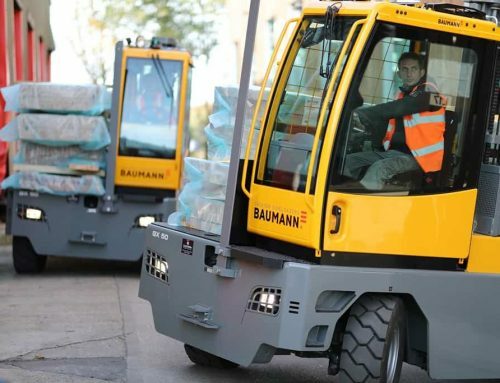 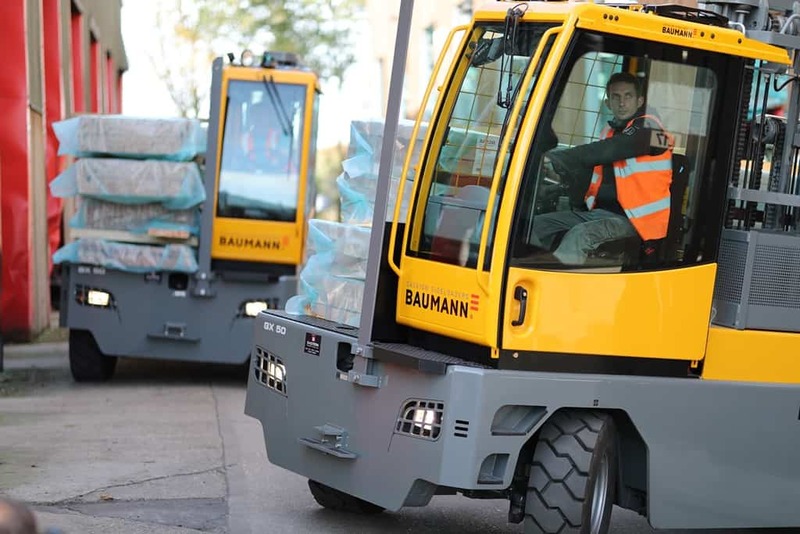 With Tier 4 compliant engines, new 120v electrics, hydrogen powered fuel cells and a Watt d’Or Award from the Swiss Federal Office of Energy, Baumann has a strong track record in Environmental issues. 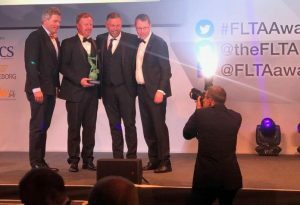 Baumann Dealer of the Year, Eastern Forklift Trucks, were also celebrating on the night, winning FLTA Dealer of the Year, which was also decided by a jury comprised of materials handling experts, to ensure that the hotly-contested Archie statuettes are awarded to the most deserving products and services.